Who are the experts behind 13485Academy? Our best-in-class products and services have been successfully utilized in 100+ countries around the world, led by our top-shelf customer support. Strahinja Stojanovic is certified as a lead auditor for ISO 13485, ISO 9001, ISO 14001 and OHSAS 18001 standards by RABQSA. He participated in implementation of these standards in more than 100 SMEs, through creation of documentation and performing in-house trainings for maintaining management system, internal audit and management review. As our leader, Dejan heads up a number of websites dedicated to helping ISO and IT professionals to fully understand and successfully implement leading standards. 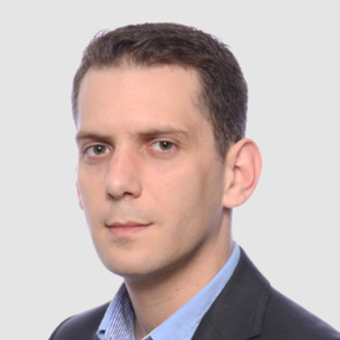 Dejan holds an MBA from Henley Management College, and boasts senior-level experience in the fields of banking, insurance and investment funds. A recognized expert in the standards of information security and business continuity (ISO 27001 and ISO 22301), Dejan has authored numerous documentation toolkits and online tutorials for these standards. Among Dejan’s awards and certifications are: ISO 9001 Lead Auditor, Certified Management Consultant, Associate Business Continuity Professional, and ISO/IEC Lead Auditor for Information Security Management Systems. SM Waqas Imam is an industrial engineer and has served in the manufacturing industry since 2011 as a Quality, Safety, and Six Sigma Expert. He is a certified lead auditor for ISO 9001:2015 and is a certified IOSH Safety Professional. Moreover, he has experience in implementing the requirements of ISO 9001, ISO 13485, ISO 14001, OHSAS 18001, and FDA 21 CFR Section 820. Find everything needed for your ISO 13485 implementation in one complete toolkit. Your implementation project can be quick and simple, and there’s no need to hire an expensive consultant. Created by the experts – Our document templates were developed by leading experts in ISO 13485. Individualized support – We aren’t only a website – we give you live guidance and support from real industry experts. One-stop shop – 13485Academy has everything you need for your ISO 13485 implementation. 90% cost savings – Our unique package of products and services only costs 10% of what the average ISO 13485 consultant costs, with the highest quality available. Our customers save big money with 13485Academy. Contact us today for expert advice on ISO 13485 implementation. Click here to learn more about our customers, products, and other company info. Important note: Our templates, toolkits and other materials, including the website advisera.com/13485academy, are in no way associated with ISO (International Organization for Standardization).